the main loop and main widget classes StelMainWindow, StelMainGraphicsView and StelAppGraphicsScene. Those classes have a single instance which is created at startup by the main() function. 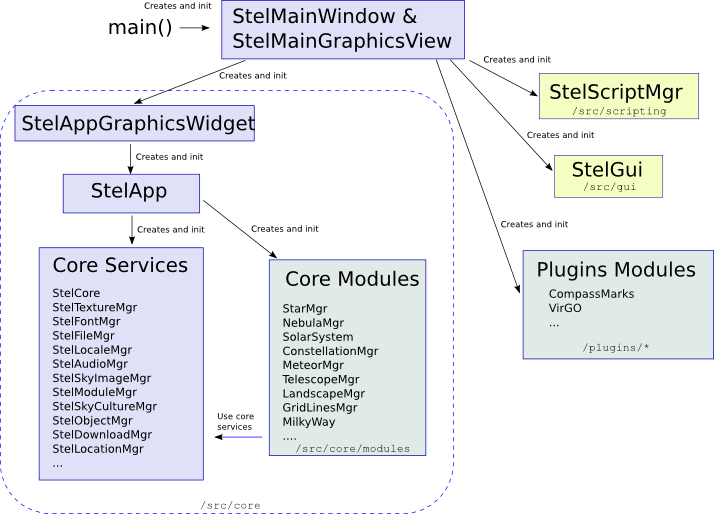 They perform various tasks such as the creation of the main program window and openGL context, the creation of the stellarium core, the creation of the GUI. After initialization, they manage user's input event propagation and event loop. There are heavily based on Qt features.